The Amigo Deluxe Bridle is a high quality leather bridle that's made with eco-friendly leather. 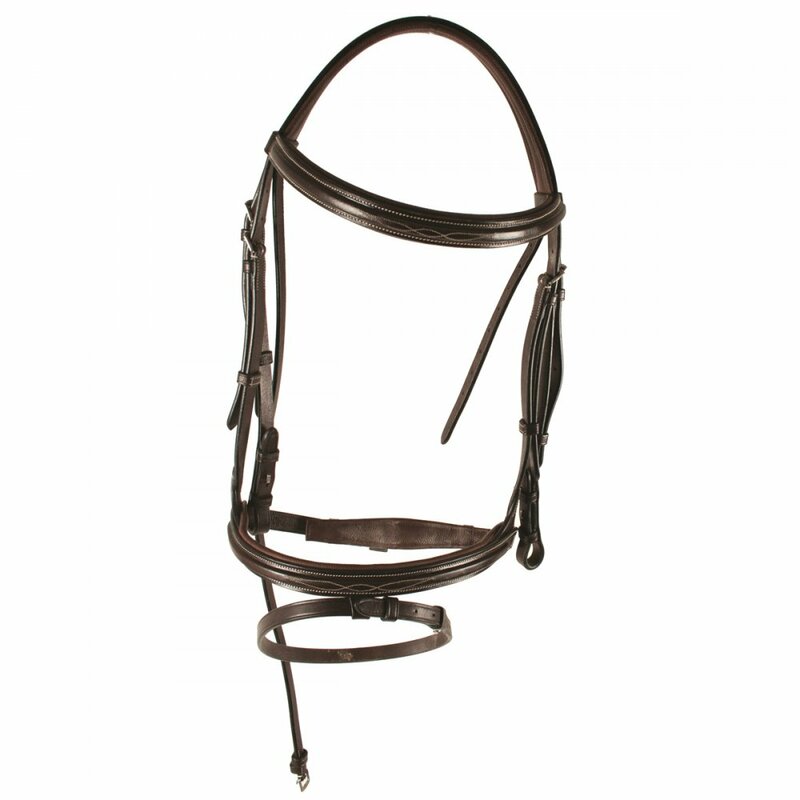 This Amigo Bridle is specially shaped to minimise pressure on the sensitive areas of the horses face and therefore encourage better head carriage. The Amigo Deluxe Bridle also features contrast stitching with added detailing over the nose and brow. This Amigo Bridle comes complete with a set of rubber reins.